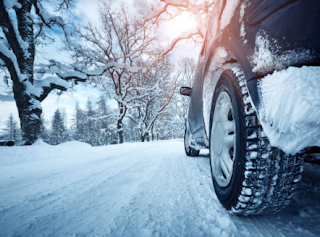 Make Sure Your Car Is Prepared For Any Winter Emergency in winter car drive, So winter’s almost here, and that calls for a little extra car maintenance advice! Along with keeping a survival kit of blankets, pillows, high-protein foods, etc. in case you get stranded, here are some tips for the car itself:Battery and cables – Cold weather stresses batteries and makes the engine hard to turn over due to the motor oil thickening in the cold. Check your battery and if it needs to be replaced, do so before the cold weather arrives.Antifreeze levels – It’s more than just antifreeze; your engine’s coolant also runs through your car’s heating system. 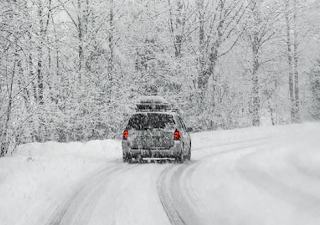 Make sure you’ve got plenty of antifreeze to prevent freeze-up, and make sure you’ve got enough flow through the system to provide adequate heat.Windshield wipers and washer fluid – This is a no-brainer. If your wipers are dry-rotted, frayed or worn, replace them. Be sure to check the level of your washer fluid as well.Brakes – Braking in snowy or icy conditions can be a challenge, so be sure you’ve got plenty of wear left on your brake pads.Tires – Again, a no-brainer. Make sure you’ve got plenty of tread for winter traction, and also be sure that your tires have appropriate all-weather or winter tread patterns.Oil – Motor oil thickens in colder weather. For an older vehicle with high mileage, that could be a problem. You might consider switching motor oil to one with a lower viscosity during the winter, so that your engine doesn’t have to work as hard to get oil where it needs to go in the first few seconds after startup.